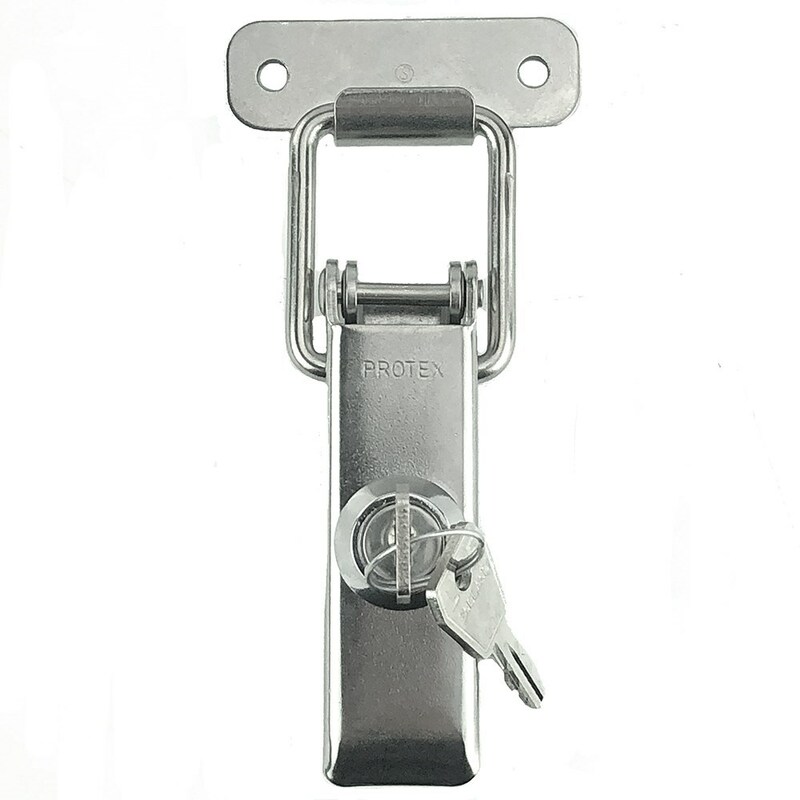 This good quality, heavy duty, locking fastener is perfect for securing hoods, bonnets, cabinets etc. Max. height above mounting surface 23mm. Keeper size 60mm x 22mm. NOTE: Lock mechanism and keeper are not stainless.